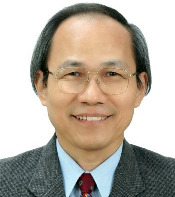 Dr. Ying-Fu Chen is a Professor of Surgery and Graduate Institute of Medicine, Kaohsiung Medical University, Kaohsiung, Taiwan. He has authored over 70 peer-reviewed medical publications. He has served as editorships of 2 books and authorships for several book chapters and is also to be as an editorial member of several national and international journals. Currently, he is also served as a managing editor of Frontiers of Bioscience and as a senior editor of Chronicles of Surgery. His major research interests include inflammation and stem cells in basic studies and thoracic aorta aneurysms/dissections and aortic valve disease in clinical fields. 1. Chen YF*, Lin YT, Kao EL. Bacteriologic study on central venous catheters. J Surg Assoc ROC 1979; 12:59-84. 2. Lin YT, Chen YF*. Ultrastructural studies on human atrial myocardium after prolonged hypothermic anoxic arrest in cardiac operation. J Formosan Med Assoc 1983; 82:727-736. 3. Lai CS, Chen YF*, Howng SL, Lin TY. Spinal epidural hematoma in a patient on anticoagulant therapy and epidural anesthesia -- case report. J Surg Assoc ROC 1983; 16:361-365. 4. Wu JR, Huang TY, Wang JZ, Chen YF, Lin YT. Tricuspid bacterial endocarditis in a case of ventricular and atrial septal defect diagnosed by M-mode echocardiogram and confirmed by surgery. Acta Paediat Sinica 1983; 24:45-51. 5. Chen YF*, Lin YT. Ultrastructural change of microvasculature in ischemic myocardium during open heart surgery. J Formosan Med Assoc 1984; 83:885-895. 6. Wang JJ, Chen YF*, Lin YT. Deep vein thrombosis: report of 74 cases and their follow-up. China Med J 1984; 33: 122-128. 7. Chen YF*, Lin YT. Comparison of blood cardioplegia and electrolyte cardioplegia in myocardial preservation. Southeast Asian J Surg 1985; 8:97-100. 8. Chen YF*, Lin YT, Huang YS, Yang MC, Yen JY, Hou MF. Venous bypass surgery for chronic deep vein thrombosis. J Formosan Med Assoc 1985; 84: 494-499. 9. Lin YT, Chen YF*. Quantitative evaluation of mitochondrial ultrastructure under myocardial preservation during open heart surgery. Southeast Asian J Surg 1985; 8: 106-110. 10. Chen YF*, Lin YT. Comparison of blood cardioplegia to electrolyte cardioplegia on the effectiveness of preservation of right atrial myocardium: mitochondrial morphometric study. Ann Thorac Surg 1985; 39: 134-138. 11. Chen YF*, Lin YT. Comparison of the effectiveness of myocardial preservation in right atrium and left ventricle. Ann Thorac Surg 1985; 40:25-30. 12. Silva R, Chen YF, Sell TL, Low JE, Jones RH. Recongnition of reversible and irreversible myocardial injury using technetium pyrophosphate kinetics. Circulation 1985; 72 (Suppl III):III-128. 13. Lin YT, Chiu CC, Chen YF, Kao EL, Yang MC. Surgical treatment of abdominal aortic aneurysm comparison between elective operation and emergency operation. Kaohsiung J Med Sci 1986; 2:453-459. 14. Silva R, Chen YF, Sell TL, Lowe JE, Jones RH. Recongnition of reversible and irreversible myocardial injury by technetium pyrophosphate extraction kinetics. J Thorac Cardiovasc Surg 1987; 94:104-109. 15. Wu JR, Huang TY, Chen YF, Lin YT, Roan HR. Aortico-left ventricuolar tunnel: Two-dimentional echocardiographic and angiocardiographic features. Am Heart J 1989; 117:697-699. 16. Chen YF*, Chan HM, Chou SH, Chiu CC, Lin YT, Wu JR, Huang TY. A simple and rapid method for obliteration of patent ductus arteriosus in the small infant. Kaohsiung J Med Sci 1989; 5: 241-243. 17. Chen YF*, Lin YT. The superiority of blood over electrolyte cardioplegia in prevention of supraventricular arrhythmias and conduction disturbances following open heart surgery. Kaohsiung J Med Sci 1989; 5: 548-555. 18.Huang SL, Chen YF*, Lee ZF, Chan HM, Lin TJ, Chiu CC,Lin YT. Expanded polytetrafluoroethylene graft fistula for chronic hemodialysis. J Surg Assoc ROC 1989; 22: 395-399. 19. Wu JR, Huang TY, Chien CH, Lin YT, Chen YF. Hemodynamic and pathologic correlative studies in patent ductus arteriosus. Acta Cardiol Sin 1989; 5: 165-170. 20. Chou SH, Chen YF*, Chiu CC, Kao EL, Lin YT. Acute cervicothoracic vascular injuries. J Surg Assoc ROC 1990; 23: 294-300. 21. Chen YF*, Chen JS, Wang JR, Chiu CC, Lin YT. Uneven myocardial hypothermia among cardiac chambers during hypothermic myocardial preservation. Eur J Cardiothorac Surg 1990; 4: 618-623. 22. Yang CC, Wu CC, Sheu SH, Chang JS, Lai WT Chen YF. Stress thallium-201 myocardial perfusion imaging using intravenous dipyridamole for detection of coronary artery disease. Ann Nucl Med Sci 1991;4:149-157. 23. Chen YF*, Lin YT, Wu SC. Inconsistent effectiveness of myocardial preservation among cardiac chambers during hypothermic cardioplegia. J Thorac Cardiovasc Surg 1991; 102: 684-687. 24. Chen YF*, Chiu CC, Che JS, Lin YT. Successful surgical correction of acute ascending aortic dissection---A case report. Kaohsiung J Med Sci 1992; 8:185-188. 25. Chen YF*. Myocardial ischemic injury and myocardial preservation during cardiac surgery. Dissertation of Doctor of Philosophy. 1992; pp:1-171.